…if not forever, at least quite a long way. 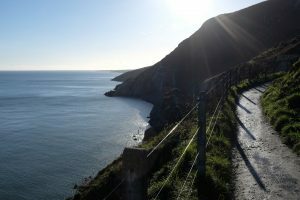 Looking north from the cliff walk on Bray Head, Howth Head is visible 20km away across Dublin Bay, with Lambay Island beyond at 35km. The edge of Dalkey Island is just visible where the cliff walk rounds the corner, with the Muglins rocks and their solar-powered lighthouse to the east. 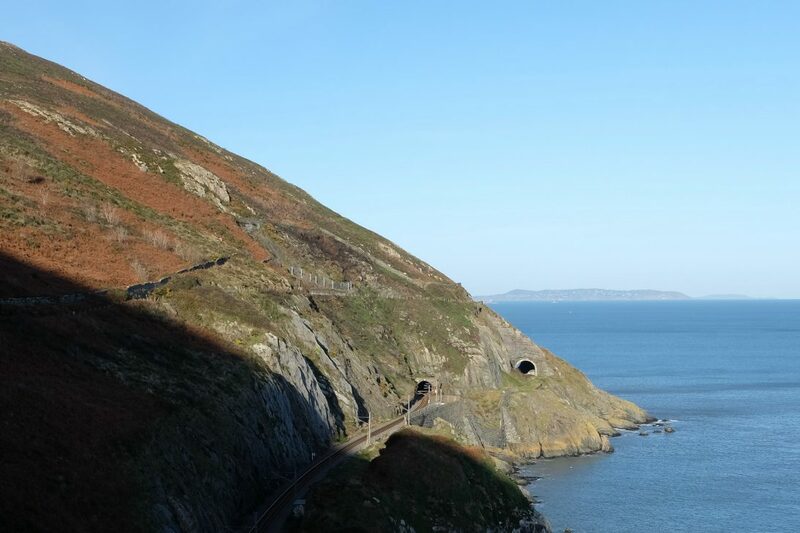 The short outer tunnel was part of Brunel’s original 1855 route for the railway line between Bray and Greystones, which included wooden trestle bridges. Looking south towards Greystones, the challenge Brunel faced is evident.